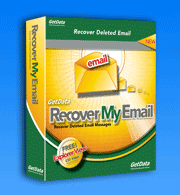 PST Repair with Recover My Email: Email recovery has never been easier. One of the most frustrating occurrences for outlook users is getting errors like the following; "Microsoft Office Outlook has encountered a problem and needs to close. We are sorry for the inconvenience". Only too then have outlook perform a recovery (a poor attempt at a pst repair) of your emails and discover that it did not quite work right. A whole range of issues have been reported to result after an occurrence such as this, including the loss of emails and the inability to view previously stored emails as well as contacts and addresses. Nothing can be more frightening to see your major projects go on the line. It is most likely a pst repair will solve your issues. Fortunately, your pst file is likely still on your PC, and for vista machines, it can be found at "C:\Users\yourloginname\AppData\Local\Microsoft\Out look". Remember to search for "hidden files", as they are contained in hidden folders. Once the file is found and is shown to be corrupt as it does not open with Outlook, then you can download and read the file with Recover My Email the PST Repair Software for Outlook and Outlook Express.